Get a pack of four toothbrush heads. Compatible with most Oral-B toothbrushes. 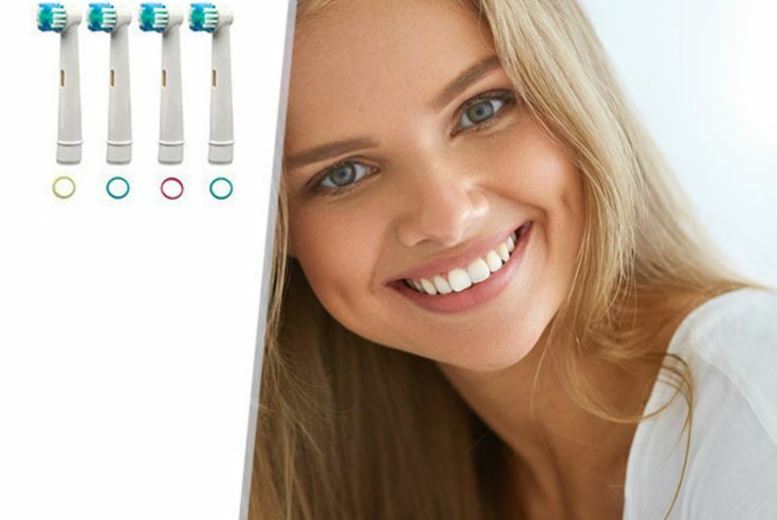 With soft bristles designed to polish your pegs to a dentist-quality shine. Choose one of three different styles: 3D white, floss action or standard. Also receive four colour identifier rings. Stock up on some household essentials!